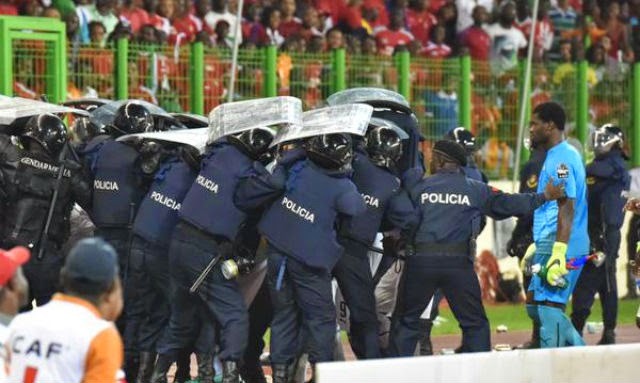 Scenes of local fans rioting and throwing things at Ghana players during the AFCON semi-finals match with hosts Equatorial Guinea yesterday were absolutely absurd. For a country that wasn't even supposed to be in the tournament their fans sure took things too far and became the new face of everything that is wrong with football. Here are 5 reasons the hosts' supporters can 'shove it'. As mentioned before, the only reason Equatorial Guinea even hosted this year's tournament is because original host country Morocco was too afraid of an Ebola outbreak within the borders. During the original qualifying stages for the tournament, Equatorial Guinea was disqualified in the very first round during their two-leg draw with Mauritania for fielding an ineligible player...that's right...Mauritania! Taking the 'big picture' into consideration, Equatorial Guinea is a 'nobody' when it comes to African football. With just one previous appearance at an African Cup of Nations tournament, this year's host nation was tied for lowest appearances in previous tournaments with only one other country, Cape Verde. When you are globally ranked lower than footballing 'giant' nations such as Palestine, Kenya, Sudan and Faroe Islands you should be thankful of making any kind of semi-final, even if it involves high-school teams. Tied for first in goal scoring this tournament is Equatorial Guinea's own Javier Balboa. The once Real Madrid prospect winger now plays for Portuguese outfit Estoril and while I mean no disrespect for the current 9th placed team in Portugal, but Balboa's career record of scoring is not too impressive. In his 200 or so appearances with Real Madrid, Benfica, Beira-Mar and Estoril Balboa has managed to amount just 15 goals. This one is pretty simple. While most fans didn't even expect the minnows to make it out of their group, it seems that the local supporters didn't think making it to the last four was a big thing. 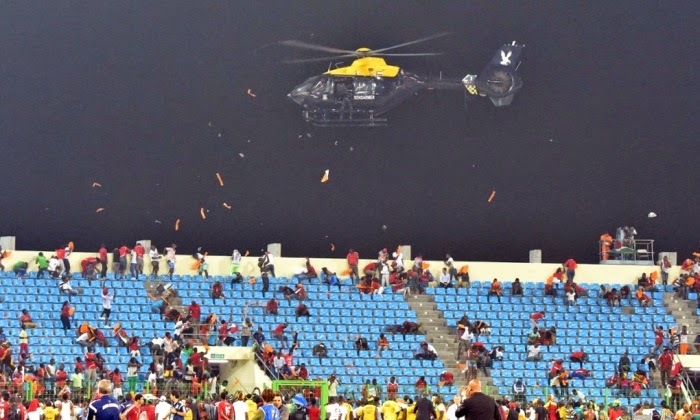 Throwing bottles at the Ghanaian players and rioting, forcing a 35 minute delay is absolutely disgusting. Instead of showing the world how a small footballing nation can host a legitimate tournament, the Western Central African nation will now go into history for this one incident; another ugly spot on the beautiful game.